Thao Nguyen not only brings down the house, she’s a committed activist. Photo by Emilly Prado, taken at Pickathon. While the crisp sound of a studio-recorded album boasts clarity and distinction, sometimes music can only be fully felt in its truest form: the live performance. Thao & The Get Down Stay Down have received well-deserved praise from the likes of Pitchfork and NPR following their fifth full-length release, A Man Alive, earlier this year. 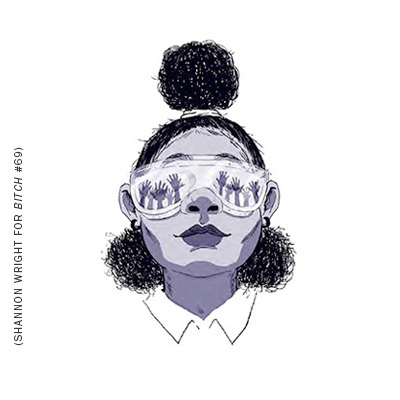 While it’s clear that this genre-bending record is excellent even when listening on laptop speakers, it was the band’s intoxicating performance at last weekend’s Pickathon music festival that left me enveloped in energy. Having made music since the age of 12, lead singer and string player Thao Nguyen is no stranger to songwriting or captivating an audience. With roots in Falls Church, Virginia, Nguyen found her footing while playing guitar in a country-pop duo as a teen. A few years later, The Get Down Stay Down was born with the help of her college classmate Willis Thompson. Nguyen immediately and relentlessly began touring after graduating, supporting numerous well-known acts. In 2005, Thao & The Get Down Stay Down debuted their first album, Like the Linen, and now boast over a decade of work and releases together. 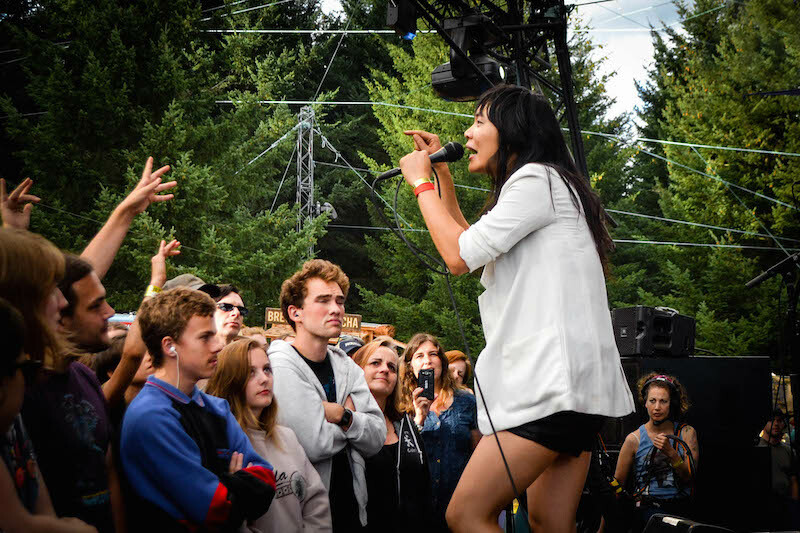 Thao rocking at the Pickathon music festival this August. Photo by Emilly Prado. It seems that A Man Alive, however, has opted for the deeply personal angle Nguyen previously shied away from. Diving into past traumas, Nguyen sings about familial ties and the tumultuous relationship she’s had with her dad. She questions stories of blood allegiance, singing, “I have a family, will they pardon me?/ Taught to be loyal, never shown loyalty,” and poignantly describes the patterns of paralyzing standstills in communication between estranged fathers and daughters. Pained vocals and lyrics are sprinkled amongst upbeat, bass-heavy tracks—a Thao & The Get Down staple. Witnessing each intricate layer unfold in person this weekend allowed the band’s songs to truly come alive for me. Closing with “Meticulous Bird,” an ode to survivors of abuse, Nguyen poured out an untamable energy with riot grrrl rawness. The audience was left huffing along, ready to smash oppression once and for all. It was mesmerizing, and emotions ran thick, proving that unleashing and processing feelings is as crucial a form of activism as any.